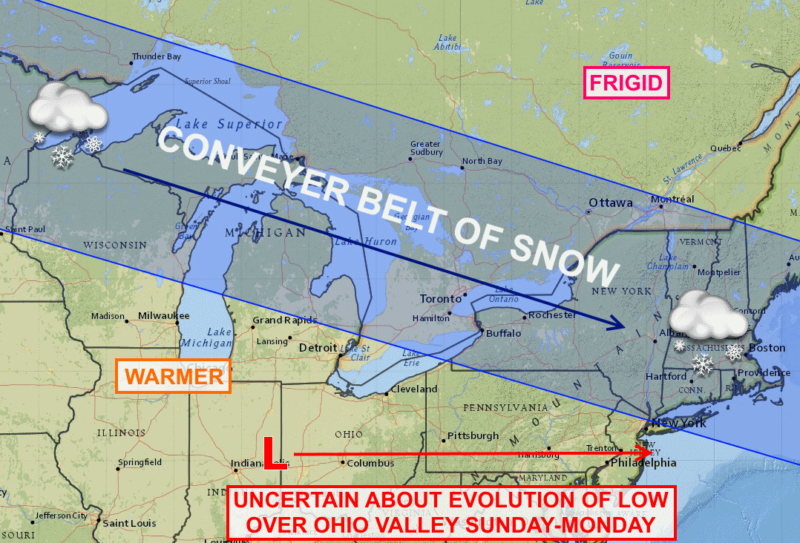 Weekend outlook: snow, snow snow! A snowy weekend is likely for the Finger Lakes with a parade of weak systems marching through. The final system late Sunday could bring heavy snow to the region, but remains highly uncertain.